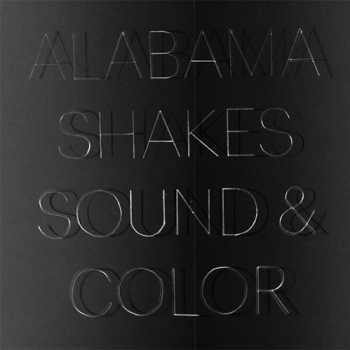 On February 10 Alabama Shakes released the first single on their new album called Sound & Color, out on April 21. As a follow up to their 2012 album Boys and Girls, I’m expecting really good things from the Shakes’ new material. I already love what I’ve heard in “Don’t Wanna Fight,” but I’m excited to see what else they’re going to bring to the table. This funky, soulful song revolves around lead singer/guitarist Brittany Howard’s mesmerizing voice. The power of the lyrics in “Don’t Wanna Fight” is upheld by the depth in Howard’s voice and the surrounding instrumentals. The Alabama Shakes have been working on Sound & Color for the past year. Since teaming up with Blake Mills, a California-based songwriter/producer, the band has produced and recorded 12 tracks for this new album that will be released this spring. Sound & Color will be full of genre-bending songs, showing how the band digs into music history, touching on psychedelia and punk, gospel and classic rock, while maintaining the originality that attracted so many listeners when the group emerged from Athens, Alabama in 2011. The group is planning an international tour upon the album’s release and will be playing at music festivals like Coachella and Bonnaroo, as well. The band will also appear on an upcoming episode of Live from the Artist Den, premiering on public television stations this week. You can preorder this album on iTunes, Amazon or the band’s website. Prepare yourselves for the release of Sound & Color this spring and keep your eyes peeled for the Alabama Shakes’ upcoming tour dates, too.